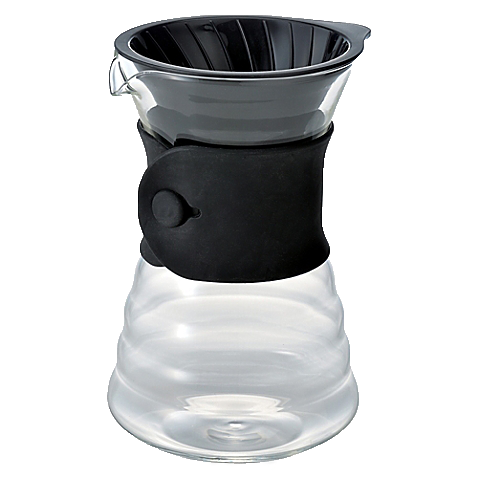 This sleek Drip Brewer and Decanter is perfect for pour over brewing. When your finished brewing, remove the plastic dripper and you have a decanter to serve your coffee! Constructed from heat resistant borosilicate glass, features a removable silicone band, a removable plastic drip brewer and has a capacity of 25-5/8oz.